New! Stunning Red Rock Setting - Rooftop Deck & Great Views! 5TH NIGHT FREE! Vacation rental townhouse. Sleeps 8, 3 bedrooms, 3 bathrooms. Dogs allowed. Gorgeous 3BR/3BA pet friendly townhome located just 6 minutes from town will WOW you with its incredible outdoor living spaces including a rooftop deck with views of the Moab Rim, Moab Golf Course and La Sal Mountains. Two fireplaces as well! Our wonderfully designed townhome is centrally located to the area amenities and you'll love all of the custom built log furniture! This residence is perfect for two families to share or 3-4 couples with one king, two queens plus a queen sleeper sofa. You visit Moab for the incredible outdoor diversity and vistas of the astounding and unique topography. There are even two gas fireplaces adding lots of ambiance to your vacation stay. The setting is simply incredible with the back patio built right into a magnificent slick rock outcropping, plus you'll love all the southwest stylings and artwork that so beautifully compliment this home.. This residence puts you right in the middle of the red rock and slick rock and gives you a sense of the wide-open Wild West that Moab is so famous for. Enjoy a panoramic views of the incredible Moab vistas from the second floor deck, or lounge comfortably on the cool shaded patios on the ground level. The residence offers a one-car garage and there is plenty of parking for trailers etc. as well right across the street. The 5th Night Free offer is automatically applied at the time of booking and does not apply during Jeep Week. The accommodations were nice and the house was clean and met all of our expectations. The only issue was the large burner on the stove did not work and the trash had not been picked up previously but we would certainly stay there again. Management was very helpful in the reservations. Thank you for the review, Thomas! It was a pleasure to host you :) As always, feel free to give us a call with any issues and we are happy to fix the burner and remove the trash. We apologize it was missed! You were wonderful guests and we are so glad you enjoyed the home and Moab area. Premier Vacation Rentals looks forward to hosting you again! Thank you for the thoughtful review! It was a pleasure to host you and we are glad you enjoyed the property and Moab area :) Moab Premier Vacation Rentals looks forward to hosting you again for your next visit! Casa Sweet Casa is so nice we got married there! Teri and I have stayed at Casa Sweet Casa at the end of November and the first weekend in December for the past ten years. We love this place so much we were married there in November 2010 by Moab Mayor David Sakrison on the back patio and have returned every year to celebrate our anniversary. Casa Sweet Casa is a wonderful place to unwind. Great views on the upstairs deck of the sheer cliffs across the Moab Valley is the perfect place to watch the sunset. The Moab golf course is a smooth nine iron away from the Casa. We love attending the Moab Electric Light Christmas Parade on the first Saturday evening of December and it always puts us in a great mood for the holiday season. We recommend Casa Sweet Casa to all our friends when they visit Moab, except for the first Saturday in December. It's our anniversary Moab home away from home. Wow, thank you for the thoughtful review :) We are so happy this home holds so much meaning for you. It's a pleasure to continue to host you for your anniversaries :) See you again soon! Casa Sweet Casa was a perfect home to rent for our family Thanksgiving. It is surrounded by red rock, is just far enough away from the hustle and bustle of town, near the Moab Golf course, a walking trail with petroglyphs and is super clean! The home is beautifully decorated and comfortably furnished, with a well equipped kitchen and plenty of games for those competitive families. 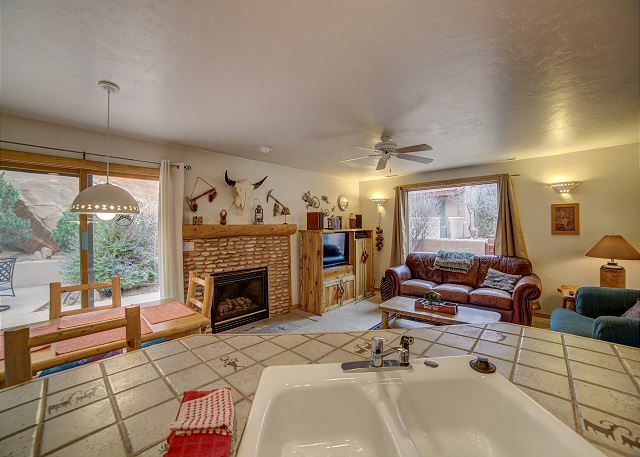 With all of that said, this home is a perfect location to explore Arches and Canyonlands National Parks. The family hikes to Delicate, Landscape & Corona Arches were highlights of our trip. There was something for everyone to do. The men rented motorcycles and explored the 22 mile 4 wheel drive trail that is near the condo. The whole family punched their fun meters. 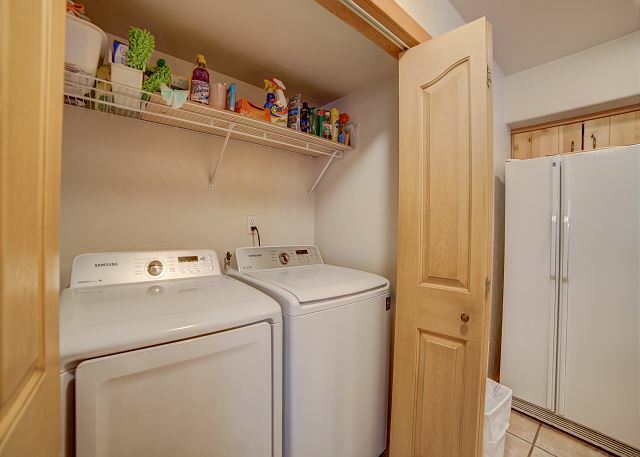 I highly recommend this home if you are looking for a good location, cleanliness and comfort.